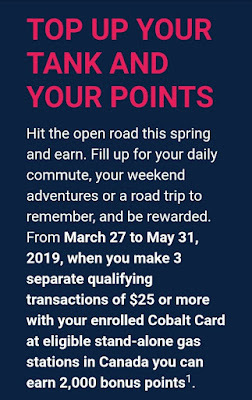 From Mar 27 to May 31, 2019, when you make 3 separate qualifying transactions of $25 or more with your AmEx Cobalt card at eligible stand-alone gas station in Canada and you can earn 2000 bonus points. This one is very easy. 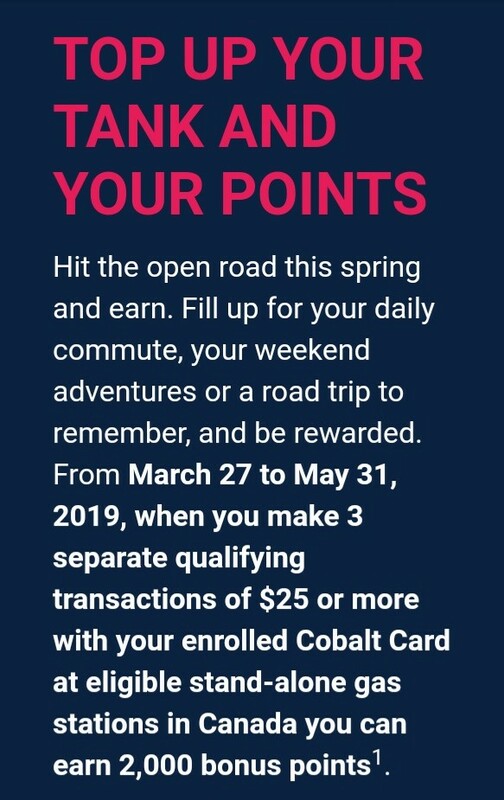 Don't forget, you can also earn 2X points for gas station purchases.